At the end of November we'll launch a procurement exercise for suppliers interested in becoming identity providers. We're planning to set up a new framework agreement, and then to issue call-off contracts to identity providers on the framework. Identity providers operate according to published standards. They also have to meet contractual requirements which will be set out in the framework agreement. 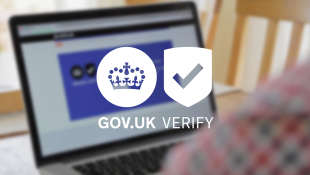 Potential identity providers can use this dedicated address to ask any questions or give feedback about Procurement 2: idap_procurement_2@digital.cabinet-office.gov.uk - we'll respond to the most common questions at our market briefing event on 30 October 2014. To register for the market briefing event, email your name, organisation and contact number to idap_procurement_2@digital.cabinet-office.gov.uk no later than 5pm on Friday, 24 October. You're also welcome to comment and ask questions by commenting on this post. Hi Simon, thanks for this. Yes, we're aware of this - we've have been contributing to the negotiations on the regulation and the implementing acts. We're planning on posting about this soon to share a bit more about what we're doing and what it will mean for identity services in the UK.